Felix is an enterprise marketplace platform developed to transform procurement processes. Initially focussing on the mining and construction sectors, Felix is evolving to suit a range of large-scale industries. 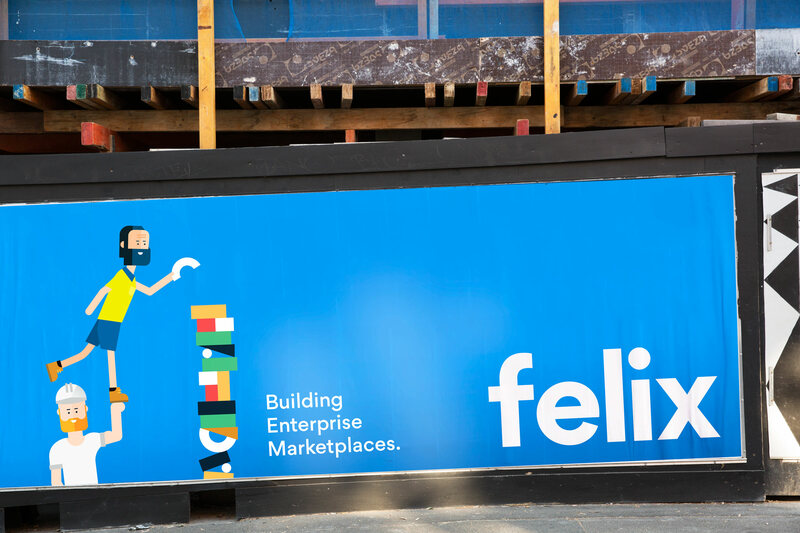 We were engaged to build Felix’s brand identity along with a graphic system capable of explaining their multi-layered product. To make Felix stand out in a traditionally static industry we employed vibrant brand elements including bold type and entertaining characters to create narrative which explains and promotes Felix’s processes, features and benefits.